07 Feb Draught proof your windows or install Double Glazing? 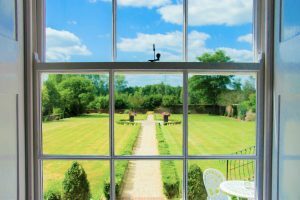 When looking to improve the thermal efficiency in your home you may be unclear as to whether your windows just need draught proofing or whether you should double glaze your windows as well. Within this blog, we outline the benefits associated with each repair service and what you should expect. Old timber windows which have not been taken care of are notorious for rattling and letting in draughts. The main aim of draught proofing is to reduce the draughts in your home by sealing up the gaps between your windows and the window frame. This can help improve insulation in your home, keeping your home warmer in the winter months but also help to keep your heating bill down. Draught proofing also helps prevent dirt and dust blowing into your home and reduces any rattles. As part of HRG Services draught proofing and overhaul service, we also ensure that your windows operate smoothly, helping to extend the window life. 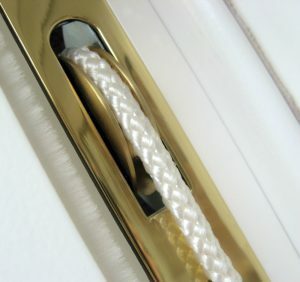 If desired we can also change the window furniture at the same time, helping to improve the security of your home. If your windows are currently single glazed, you may want to upgrade to double glazed windows. Double glazed timber windows can add value to your home, as they are considered a benefit by homeowners as they improve thermal efficiency, reduce noise and improve security. However, it is important to note that you will require planning permission prior to double glazing your windows if your property is a Listed Building or in a conservation area. On appearance you won’t even realise that double glazing has been installed. When installing double glazing, a specialist window company should draught proof your windows at the same time for you. This means that you will receive all the benefits associated with draught proofing your windows, in addition to the benefits of installing double glazing. Our slimline 12mm double glazing is heritage approved and perfect for listed buildings and conservation areas. Double glazing works by having a gap, normally filled with argon or krypton, between two panes of glass. As air is a poor conductor of heat, heat loss is reduced, allowing your home to retain the warmth. This helps improve the insulation and thermal efficiency of your home and is more effective than just draught proofing. HRG Services can advise you on the best solution for your home. The best solution for you will depend on a variety of things, such as the condition of your windows and how exposed to the elements the windows are. At HRG Services, we will always discuss your requirements with you before recommending the best service for your needs whether this be restoring your existing windows or whether they require replacement. We offer a full range of services for timber windows, from minor repairs to full replacement. Click here for more information. To obtain a free, no obligation site survey and quotation, contact us on 0800 246 1947.